The cleaning hacks shared on Pinterest will contribute a lot to your cleaning chores. After using the chopping board, it is necessary to clean it thoroughly. Without using chemicals, you can clean and disinfect the chopping board with salt and lemon. Follow the instruction in the image and it will help you. View more cleaning hacks via DIYJOY. 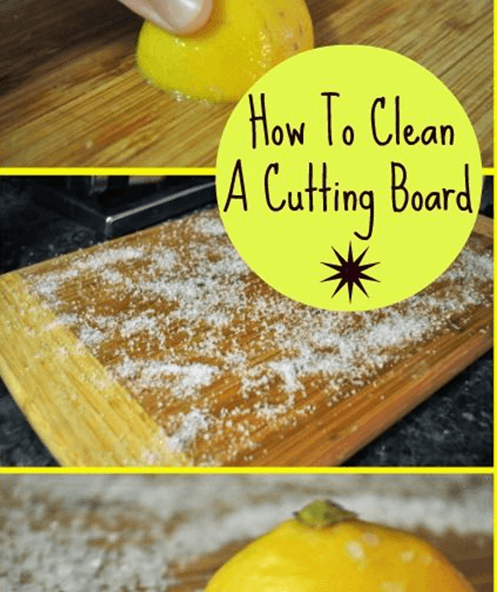 How to clean a chopping board using salt and lemon. How to clean grimy kitchen using 2 ingredients including baking soda. Ingredients: Mix one part of Coconut oil with two parts of Baking Soda in a bowl. Put it on the surface and leave it for 10 – 15 minutes. 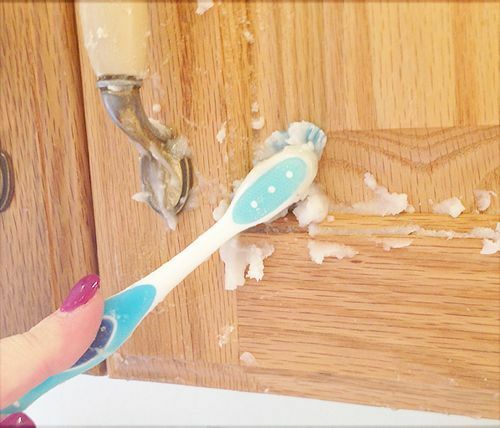 Rub the surface with an old toothbrush and it will work a treat on the surface. The cleaning hack is shared via Onegoodthingbyjillee. 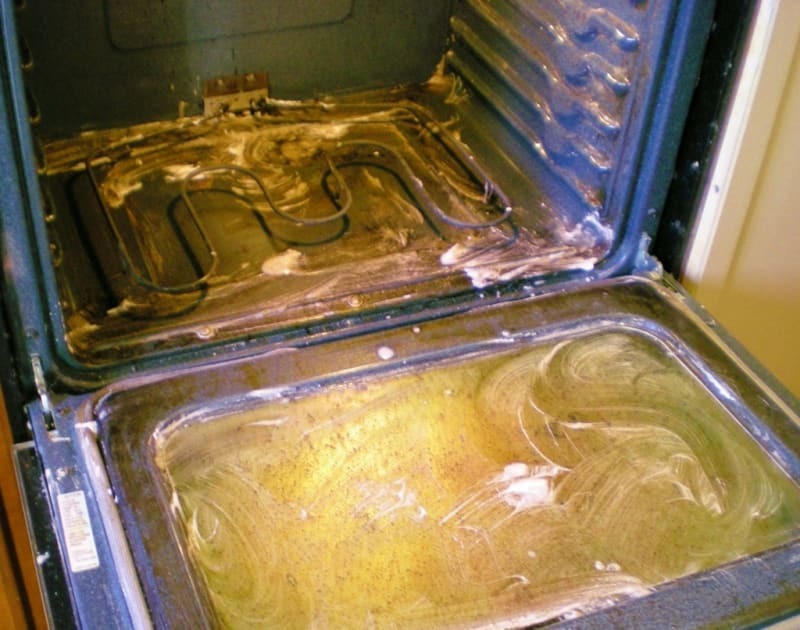 The cleaning hack via Buzzfeed suggesting using a mix of baking soda, vinegar and dish washing liquid to clean your kitchen oven inside out. Paste the mixture on the surface that need to be cleaned, leave it for 10 – 15 minutes. Check if the surface needs more time for thoroughly absorbed. Using a brush to scrub and clean inside out. 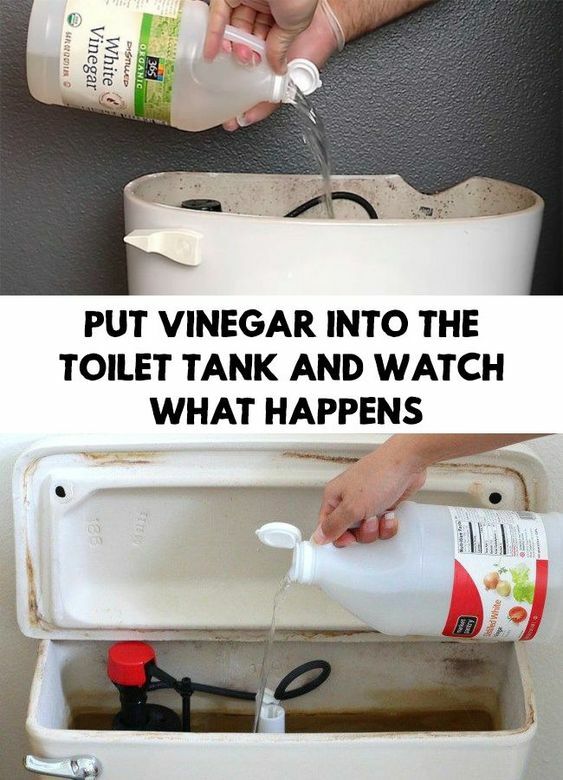 The following cleaning hack from home talk teaches us how to give the toilet an amazing touch using baking soda and vinegar. These eco-friendly products in your kitchen will work a treat. You can also use some oil for final touch and make it smell amazing. This cleaning hack is from healthylifetrick will help you keep the toilet clean and free of bacteria. Ingredients: 9% concentrated vinegar and baking soda. Heat the vinegar to 40 degrees C and then put the baking soda in. The proportion is to mix 200 grams of vinegar with 1 tablespoon of soda. 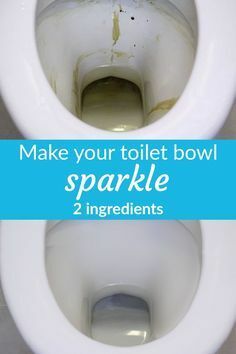 Pour this mixture into the water tank of the toilet, leave it for a few hours or overnight. Flush the water at the end to achieve the result. You can view more cleaning hacks for daily purpose on Pinterest/cleaninghacks.